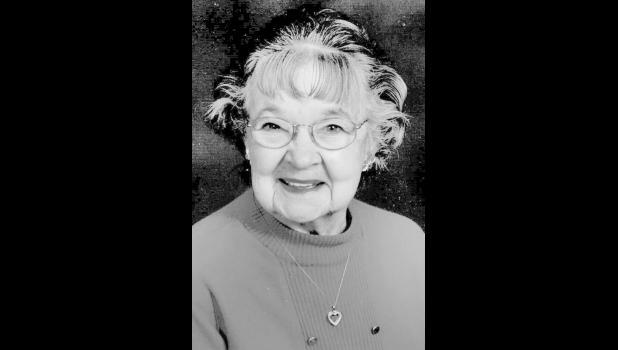 Rose Mary Thompson, 90, Pharr, Texas, died at her home Tuesday, Dec. 29, 2015, following an ex­tended illness. She was a resident of Tropic Star Resort for 30 years. She was born in Blue Grass, Iowa and prior to coming to Texas, she assisted her husband in his chiropractor office for 25 years. She is survived by her two sons, Jim Thompson of Roseburg, Ore., and Harry A. Thompson III of Kennebunkport, Maine, and a sis­ter, Anna Reynolds of Jasper, Ala. She was preceded in death by her husband, Harry A. Thompson Jr.; her parents, Lawrence and Tessie Wilford; her sisters, Nellie Duffy, Margaret Strohbehn and Patricia Wilford; and brothers, Robert and Walter Wilford. A memorial service will be held from 2 p.m. to 3 p.m. Saturday, Jan. 2 at Tropic Star Resort Chapel. In lieu of flowers, donations may be made to Wreaths Across Amer­ica at www.wreathsacrossamerica.org or Lottie Moon, a Baptist missionary organization at First Baptist Church-Pharr, 400 W. Ridge Rd., Pharr, TX 78577.